The Plenary Group is planning a new 305-bedroom hotel as part of a wider $200 million redevelopment of the Melbourne Convention and Exhibition Centre. 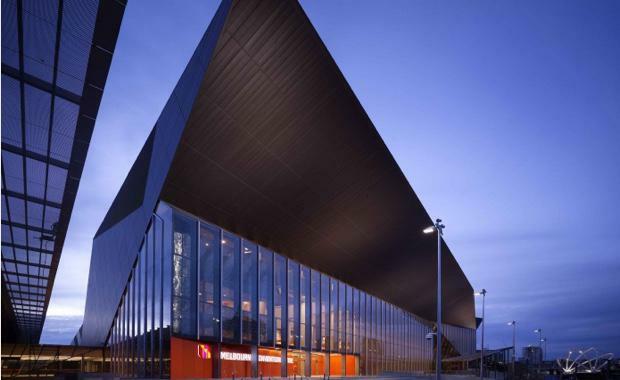 The plan comes as Plenary is attempting to sell the hotel it has already developed and jointly owns within the convention centre precinct, the Hilton Melbourne South Wharf Hotel. The 364-room Hilton went on the market last August with a $250 million price tag. The proposed expansion of the convention centre precinct is expected to add 9,000sqm of new exhibition space and more than 2,500sqm of extra meeting, banquet and pre-function space. Melbourne city councillors are this week considering a report from their planners recommending support for the expansion to the convention centre. Final approval would then be sought from the state’s planning minister, Richard Wynne. The MCEC announced late last year that it had selected a shortlist of potential builders for the planned expansion. Plenary Group shortlisted three contractors – Brookfield Multiplex, Probuild and Watpac – to competitively tender for the expansion. The current design for the expansion includes additional exhibition space, a 1,100-seat theatre and multi-function space, meeting rooms, a new banquet hall, extra car parking and a hotel to provide additional accommodation in the precinct. Contractors will be chosen in the coming months with construction expected to begin later this year with the expansion to be opened in 2018.